1x Pack of 8 Dinosaur Blast Themed Children's Party Invitations. Our pack of 8 Dino Blast Invites are part of our Dino Blast range of children’s tableware. 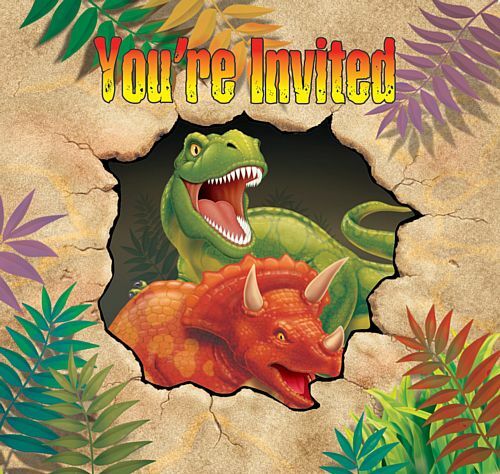 With a Triceratops and Tyrannosaurus Rex in a Jurassic jungle design, these invites are the perfect way to get word to your child’s friends and ask them to the Dinosaur party. Check out the rest of our Dino Blast Tableware and Dino accessories for more Dinosaur Party ideas.